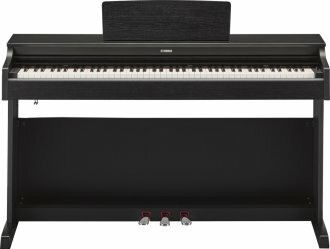 The best digital piano is one that can grow with a musician as they progress. 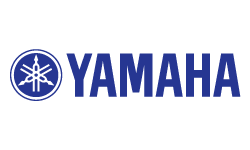 On the Yamaha YDP-163, Graded Hammer Standard 3 (GH3) action combines with Pure CF sampling and a powerful 20W x 2 amplifier system to deliver authentic piano touch and tone. The optional iOS app, Digital Piano Controller, makes navigation and configuration easier than ever. Graded Hammer 3 (GH3) 88-key piano action utilizes the same hammering system and springless mechanism of a grand piano. This action reproduces the touch of an acoustic piano, from the heavy feel in the lower register to a lighter touch in the upper octaves. It also features a three-sensor configuration, which accurately senses and interprets the behavior of the keyboard in order to provide a grand piano-style response and feel. This allows for quick note repetition and authentic expressive control. The piano keyboard with synthetic ivory key tops provide a tactile surface to the white keys, absorbing moisture from the fingers and preventing them from slipping. A standard USB cable can be used to connect the instrument to a computer or mobile device, opening up a world of creativity, entertainment, and education. iOS devices can be connected to the instrument using the Yamaha UD-BT01, the i-UX1 connecter cablE, or the Apple Camera Connection kit. The instrument can be used to interact as a controller and/or sound source with a variety of music creation applications. Stereo Sustain samples provide mellow reverberations when the player depresses the damper pedal. Similarly, Damper Resonance DSP provides broad and deep resonance when the pedal is used. The result is more realistic sound, similar to that of an acoustic piano.